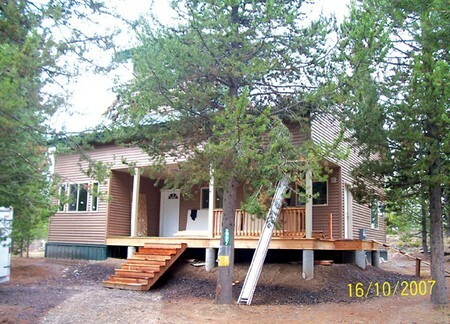 New construction near the Henrys Fork River with community access. Completion date is 12-1-07. 3 bedrooms with a sleeping loft. Large master suite on main level. Side entry with ½ bath and laundry center. Wrap around partially covered deck. Large family room upstairs. Good winter access.